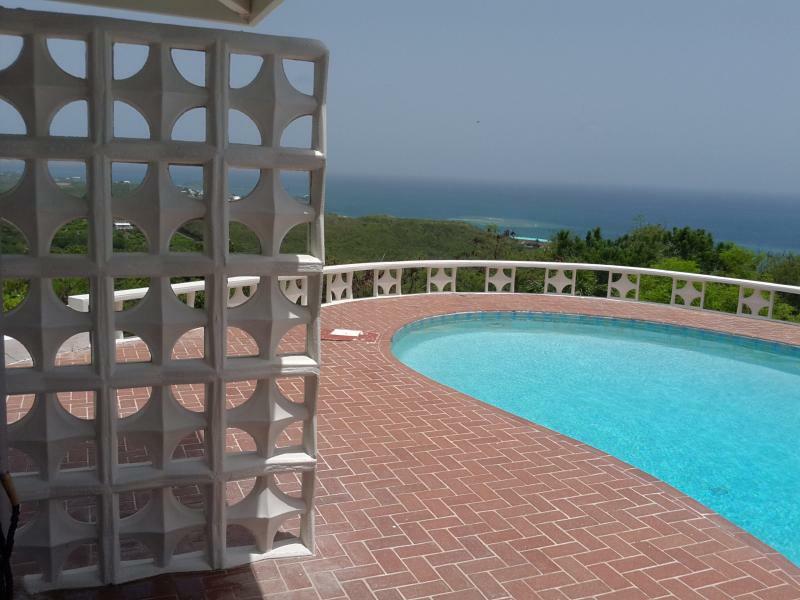 Our balusters are molded from a wooden pattern made in the late 1960's by a local wood artist and furniture maker, Mr. Thurland. 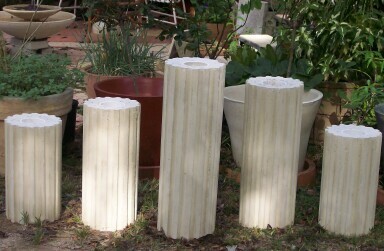 We can make them either 27" tall or 32", and they are reinforced with an epoxy coated rod. 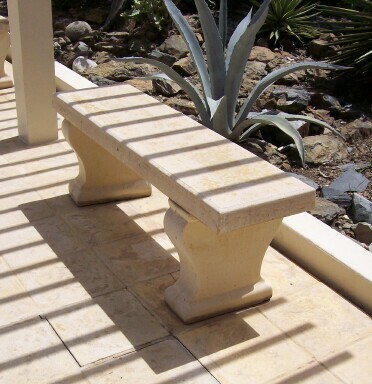 Sunburst blocks are used for porch railings, or perhaps garden accessories. Ours were originally cast in 1970 after an original, again carved by Peter Thurland. 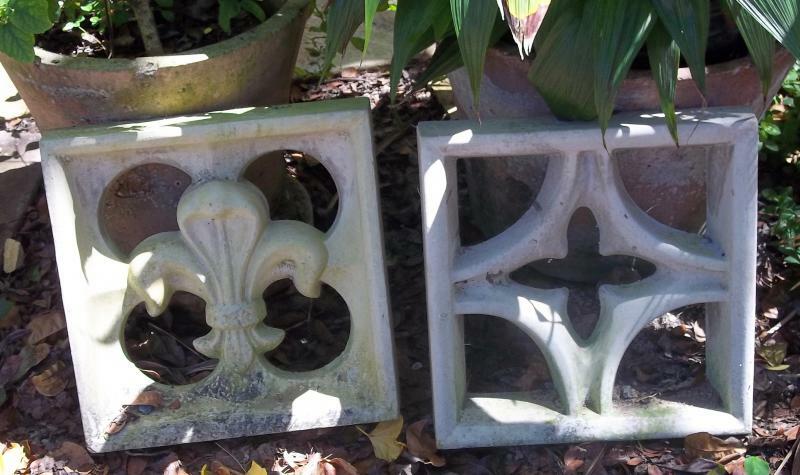 We can cast these in colors, or in plain grey concrete to be painted along with your house. Our countertops are ferro cement products. This means the concrete slab when finished is about 1 1/4" to 1 1/2" thick with substantial metal reinforcing . 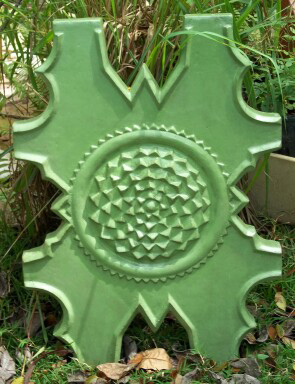 These hand crafted concrete products are custom molded, like our tile, and can have the same types of finishes. 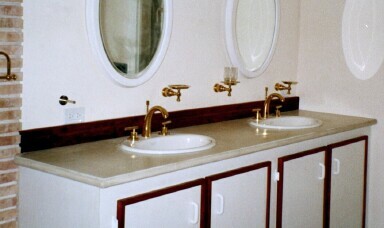 Each mold is designed specifically for each project, and can have the edge detail, color, texture and shape you prefer. 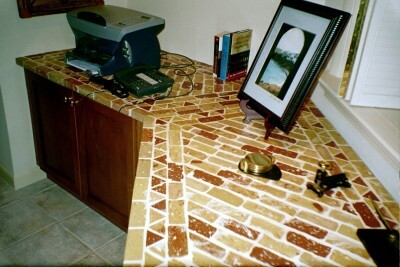 We have made interesting desk tops from slices of antique Danish brick, strengthened by the hidden core of ferro cement on the underneath side. These can be made to fit your existing space. 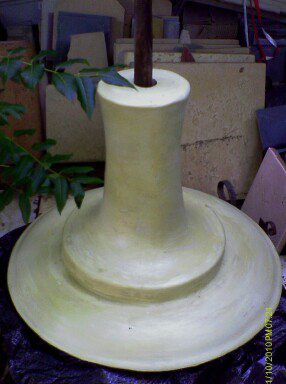 Tables may be molded in your choice of colors in our 36" round table top mold, or we can make a mold to your specifications. 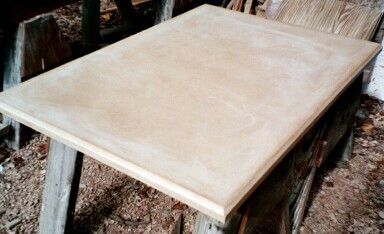 These tables can be 1 1/4" thin, or the heavier, more conventional 2" thick. 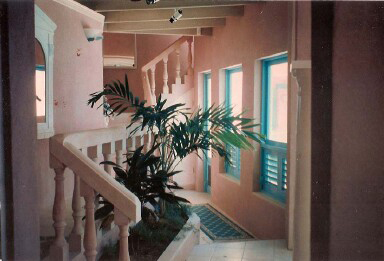 Again, color and texture are your choice. 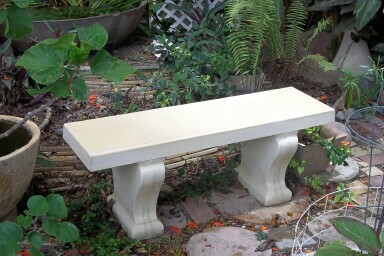 The pedestal base is shaped to balance the size and weight of the table top, and is very stable. 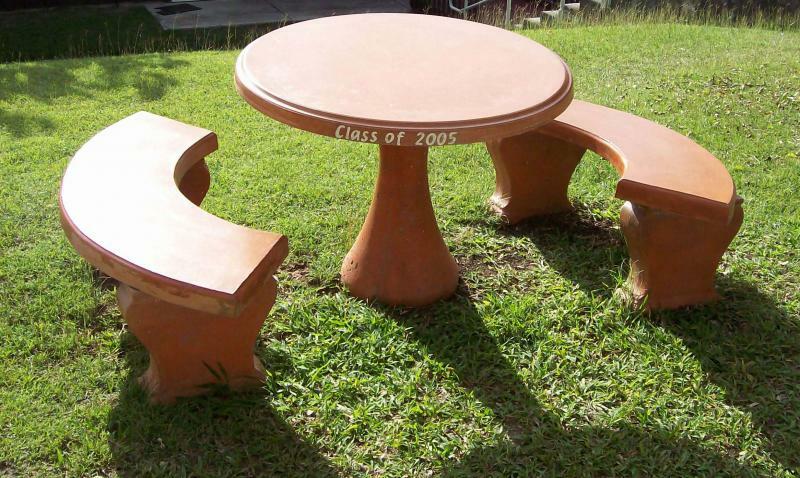 Tables with special use problems (like large umbrellas with lots of windage) have a base shaped to support this use. 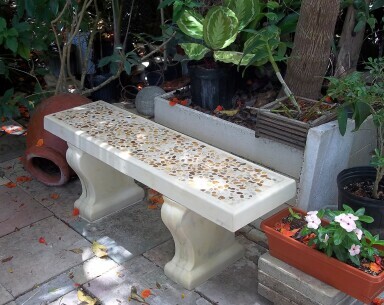 We have molds of curved benches, to fit around our tables, and straight benches, for garden resting areas or convenient seats by the carport. All are available in your choice of color and texture. 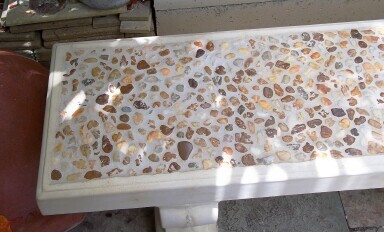 Custom tables and benches can be designed, of course, to suit your needs. 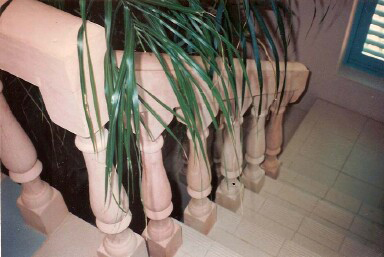 Beveled edge table, 36" X 48" X 1 1/2"
Balusters were first epoxied in place and the railings were poured on top of them.